Ricky & Clive get together for their preview of WWE Survivor Series 2018. It hasn’t been a well hyped Big Four PPV, what with a busy calendar of events the last month or so. On top of that, unfortunate last minute changes to the card have occurred as a result of Becky Lynch’s broken face and concussion, and Daniel Bryan winning the WWE Title. 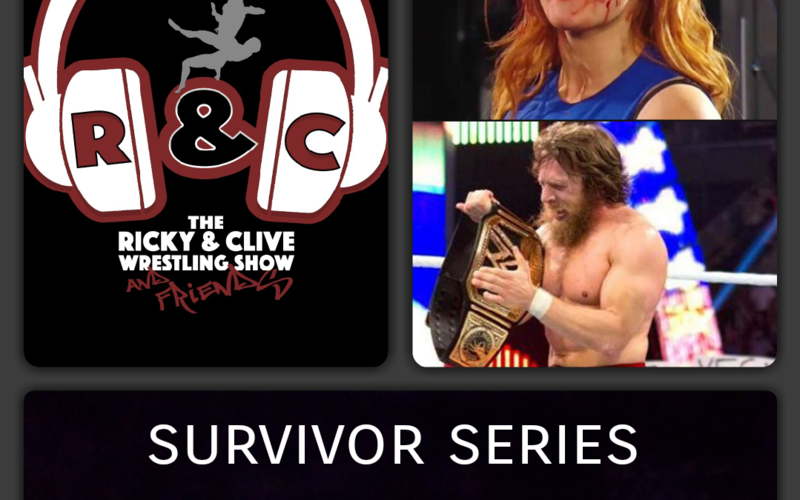 All of this, and our official predictions, are on offer this week, with a Survivor Series themed Quiz to end the show.